Please enjoy browsing through the SCALE SPOKES website. UMM-USA is offering this new product line as well as access to the ScaleSpokes forum. Capitalizing on a long-time love of WW I aircraft, a way was found to accurately reproduce these wheels in the common hobby scales. These wheels are highly detailed and will play an important roll in enhancing the realism and artistic appeal of your models. To increase your happiness and satisfaction with your build, SCALE SPOKES offers hand-made spoke wheels for aircraft in 1/72, 1/48, and 1/32 scales. Future plans include 1/144 wheels by special order. 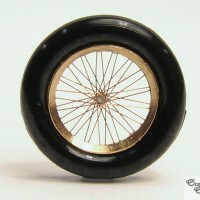 All these miniature works of art feature resin or aluminum hubs, aluminum rims, copper wire spokes, and rubber tires. 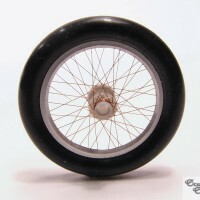 Accessory sets for these wheels offer upgrades such as flattened resin tires, photo-etched stem valves, and manufacturer’s name decals for the tires. These beautiful wheels are finished products by themselves, but you can still bring them even closer to reality with further artistic techniques such as chemical treatments. 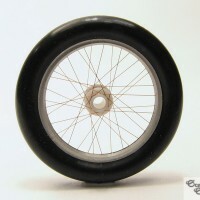 We anticipate fellow modelers will offer these techniques through the ScaleSpokes forum. The goal is to provide a unique product to enhance your models and raise them to a higher level of realism. UMM-USA is very proud to offer you these hand-made works of art. Start building with them and enjoy the elegance of this beautifully artistic hobby.